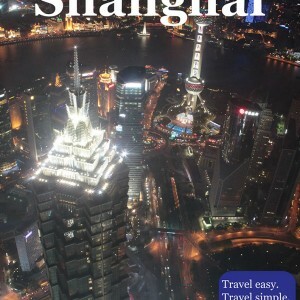 Shanghai is one of the shopping paradises in China, and here you may find and buy almost everything you need, whether it is clothes, technology equipment, souvenirs and anything else, including all prices ranges. “Four Streets and Four Cities” represents the main shopping area in Shanghai, and Nanjing Road is the street number one, since it has a lot of things to offer. There are many options for shopping, and some of the most popular are traditional open street markets, antique shops, local fashion shops, shopping malls, luxury and western brands shops and many more places which satisfy any customer’s needs. The best thing is that almost everywhere, especially on open street markets, you may bargain and get what you want by paying smaller price than it was first offered. Shopping in Shanghai can be quite an adventure itself, and at times, even if you don’t plan to buy anything, going around and seeing different stores can be quite interesting, especially the ones located in the Old Town. If you come from some of the culturally completely different countries, the variety of traditional Chinese products can be appealing and attraction on its own right. Most of the shops work seven days a week, usually in the period from 10:00 to 22:00. Generally in China, western luxury goods are more expensive than in the West, and even in that, Shanghai is no exception. Although the offer in Shanghai for this type of goods is quite large, you should be careful when you buy something, especially if you are not sure of the prices. What can be especially interesting in Shanghai are handcrafts, paintings, tailor-made clothing, antiques, silk, porcelain, and for those interested, a few markets of fake goods can also be found here. As mentioned previously, East Nanjing Road (南京东路; Nánjīng Dōng Lù; Nanjing East Road Station, Exit 3) is a number one commercial street, not just in Shanghai, but also in the whole China. Besides the old and traditional shops, the street offers many world luxury brands, so it is definitely worth visiting if you plan to do some shopping. West Nanjing Road (南京西路; Nánjīng Xī Lù; People’s Square Station, Exit 7) is somewhat similar to the former one, also offering a variety of shops and shopping malls. The area is quite familiar in terms of buying jewelry, cosmetics, clothing and handbags. Besides Nanjing, there is also Huaihai Road (淮海路; Huáihǎi Lù; Changshu Road Station, Exit 4) in French Concession, which can definitely compete with it with its luxury and elegance. However, it differs from it mainly regarding the fact it is in western-like part of the city. Here, besides many things, you may find some of the world’s famous designers and brands. However, if you are in pursuit for slightly reasonable prices, Parkson Shopping Center is the right place for you. Yuyuan Bazaar (豫园商场; Yù Yuán Shāng Chǎng; Yuyuan Station, Exit 1), being set in Old Town will provide you with anything regarding Chinese culture and tradition. Among many different goods, you will find some handmade souvenirs, calligraphy, jewelry, and other crafts, which are usually appealing to tourists. Another interesting area for shopping is Fuzhou Road (福州街; Fúzhōu Jiē; People’s Square, Exit 15), which is set between The Bund and People’s Square, and it is mainly the cultural street. Here you may find some interesting bookstores, and lovers of art will definitely love it the most. Tailor-made clothing and materials are also one of the most important features of shopping in China, so South Bund Fabric Market (南外滩轻纺面料市场; 399 Lujiabang Road -陆家浜路399号; Nanpu Bridge Station, Exit 3) should not be skipped. Of course, if you are staying shortly in Shanghai, it would be basically impossible to get something that is tailor-made, but the experience of visiting such places and seeing how some of the most beautiful creations appear is definitely recommended. Changle Road (长乐路; Zhǎnglè Lù; Shaanxi South Road Station, Exit 2) around French Concession also offers interesting creations tailored and made by local designers, and the main feature of the clothes is that it combines traditional and modern in the best possible manner. Fake goods are also quite popular here, so New Xinyang Fashion Market (新阳服装市场; 2002 Century Avenue -世纪大道2000号; 10:00-20:00; Shanghai Science Station, Exit 6) in Pudong is quite interesting for shopping. Here you may find everything, from electronics, to accessories, clothes and souvenirs. The best thing about this place is bargaining that always works, you just need to be persistent. Of course, don’t forget to check the quality before you buy some items and be careful when choosing. If you prefer modern and western shopping malls, Shanghai also has a lot to offer in that regard. There are several of them along Nanjing road and you cannot miss them. IFC Mall (上海ifc商场; 8 Century Ave; www.shanghaiifcmall.com.cn; tel: 2020 7000; 10:00-22:00; Lujiazui Station, Exit 1) and Super Brand Mall (正大广场; 168 Lujiazui West Road; www.superbrandmall.com; tel: 6887 7888; 10:00-22:00; Lujiazui Station, Exit 1) in Pudong are considered to be the best. IFC Mall is a great place to look up some of the most famous international brands, and the prices are usually suitable for the ones with „deeper pocket“. The similar situation is with the Super Brand Mall, which also offer numerous shops of variuos goods, on several very beautifully arranged floors. The malls in Shanghai usually offer everything at one place, so it is likely that if you enter one of them, you will spend couple of hours wandering around.